At FireSky Coatings, we repair Walk Decks of all shapes and sizes. A small Walk Deck Repair can potentially save your deck and make it last a lot longer. Whether you have a small Residential Deck or a large Commercial Deck we've got you covered. No repair is too big or too small. Walk decks should be inspected every year to ensure that any problems are taken care of and that no serious damage can occur. Take a look at your deck and see if you can find any of these common problems. Want To Put Tile on your Walk Deck? A lot of people want to put tile on their walk decks. Tile walk decks can be an attractive choice, but we generally steer customers away from this route. Here's why. When your tile deck has a leak, there's only one solution, the tile has to be removed. If you do choose to place tile on your walk deck, it is imperative that the waterpoofing is done correctly below the tile. A walk deck repair like this can be costly. 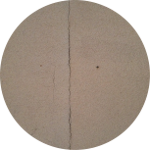 Cracks and Splits on a walk deck surface is a common issue. Water enters through these cracks and causes damage to the woodwork below. Walk deck cracks Must Be Repaired right away, or you may have to replace the wood below. Low Areas on a walk deck can cause ponding, where water collects into puddles or pools. 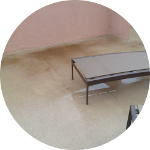 Water that sits on a walk deck surface for a long period of time can break down the materials faster. This will shorten the lifespan of your walk deck. One sign of a leaking Walk Deck is visible water damage. 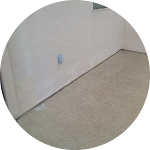 Cracks, splits, paint peels, and water marks are clear signs of water damage. Water can damage wooden trusses and beams under the deck by causing them to rot. A very important detail to inspect is the transition from the walk deck to the stucco wall. 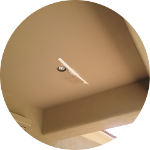 If the metal flashing is not installed correctly, water can enter the wall through stucco cracks and has nowhere to escape.